Cuts always include a pedicure, which includes nail trimming and filing – and we round off sharp claw edges so your hardwood floors are safe! Sometimes animals are extremely skittish about being groomed. Because our grooming and medical staff are in the same office, we can offer sedation grooming, as well as general anesthesia grooming if necessary. Often dogs may tolerate body grooming, but resent having their faces or nails trimmed. 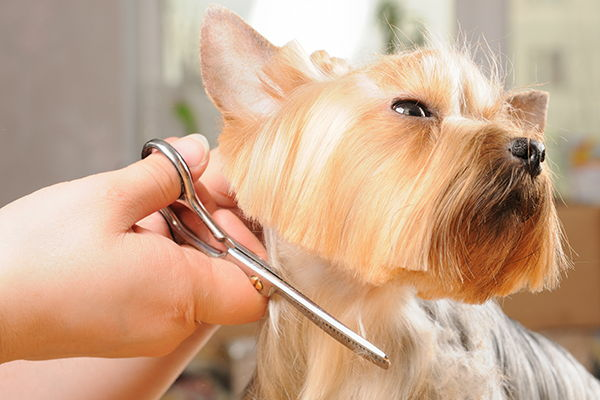 If this is traumatic for your dog, we can administer a short acting sedative that will relax the animal until that portion of the grooming is completed. Occasionally a dog completely resists any kind of brushing or grooming, and in those cases a general anesthetic may be necessary. The doctor will examine the dog to make sure it is safe, and if indicated, the anesthesia is administered, based on your pet’s weight, overall health status, and age. Sedation and anesthesia are monitored by trained staff. Additionally, any medical problems can be treated during your pet’s grooming visit. 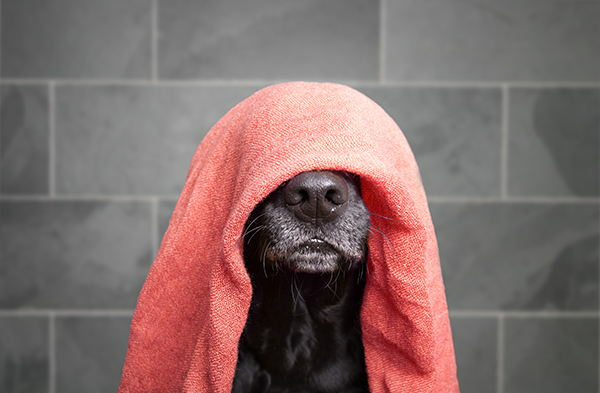 With everything that’s involved, bathing your pet at home can sometimes be a challenge- let us help! Academy Animal Hospital offers a variety of bathing services, depending on your pet’s needs. Medicated baths for skin conditions, flea or tick baths and general bathing and conditioning of the skin are a few of the options. In addition to bathing, your pet’s nails will be trimmed, their coat brushed, and a coat conditioner applied. Shed-Less treatments remove dead hair and dander from your dog that would otherwise be shed in your home and car. This treatment is great for dogs, who usually enjoy the process, and will benefit you if you’re sensitive to pet dander or hair, or find yourself constantly cleaning pet hair. Shed-Less treatments involve using a series of different shampoos and brushes. While they don’t stop the natural shedding process and aren’t a one-time cure, when done regularly, the treatments get the undercoating out and reduce shedding. The first treatment will result in a lot of hair loss and disturb your dog’s undercoat, with more hair loss occurring at home. But, after repeated use, you’ll notice a significant decrease in the amount shedding. We recommend treatments to be done every four to six weeks, depending on the dog. If your dog is a heavy shedder, he may benefit from weekly treatments. For dogs with short hair that don’t shed heavily, a treatment every six weeks is sufficient. For optimum results, treatments should be done year round. Pricing will vary based on animal size and hair coat, going up in increments for every 10 pounds (capping at 110 pounds and over). Sometimes, Shed-Less treatments can’t be done when an animal’s hair is really matted, as it would hurt the dog. In these cases, we recommend only shaving down the hair. 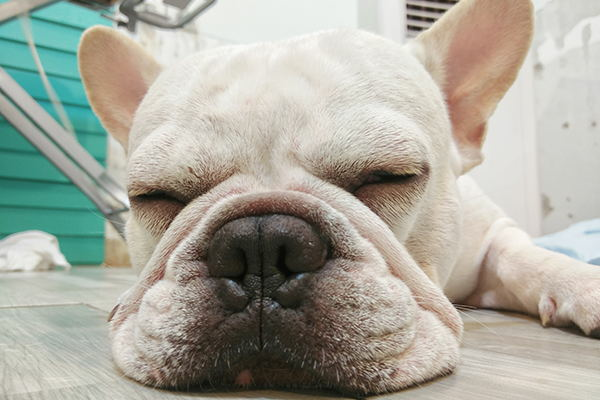 For pets with skin conditions, the groomer can incorporate a medicated bath into the Shed-Less treatment, but there is an additional cost as it is a separate service.